Many young lawyers and trainee solicitors should no longer be looking merely to survive, but instead to thrive and advance their careers. Aside from the most important approach of getting the head down and doing the legal work, utilising social media, through blogging, Twitter and Linkedin, can produce some powerful results. 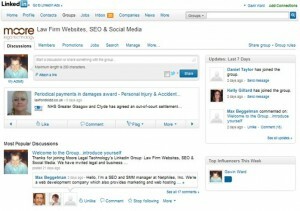 With over 100 million professionals, Linkedin is one of the largest social media networks. It is, therefore, no longer merely an option for solicitors with an eye for networking; it is a necessity. And, with such a vast collection of professionals, it is important that the profile created is as strong as possible. 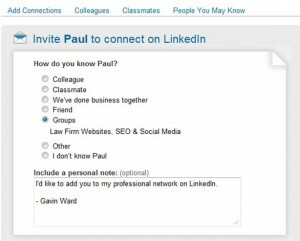 When joining Linkedin, it is a good idea to use your own personal email address rather than your firm’s email address. The main reason for this is that you probably won’t be at that firm for the rest of your working life and, if you do switch firms, it is, at least in theory, arguable that your connections made, for example with clients’ employees, while at that first firm should belong to that firm. (for more on the employment law and HR implications of Linked use, I’d recommend speaking to David Morgan of Burness LLP). So, to reduce the risk of that argument being made, it is best to use a personal email address. Next, ensure that you write a specific professional title, stating your specific location and industry, which should either be “Law Practice” or “Legal Services” (the difference is negligible). 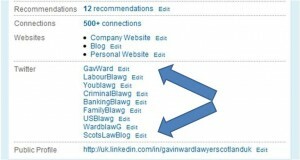 As a good example, I have displayed the Linkedin profile of Phil Knight of Biggart Baillie. Click through the image to see how he has created a solid profile. Once you have entered basic information, complete other details of your professional position and history with relevant headline details, although I would suggest not overdoing it for two reasons: first, it leaves people wanting to know more; and second, it shows that you are not desperate to justify yourself. Once you gain more legal experience in certain types of legal practice, you should try to optimise your profile for such specialisms. So, for instance, if you are an employment law solicitor, your title could be Employment Law Solicitor in Bristol | X Y. Or if you specialise in a certain type of personal injury claim, your title could be Medical Negligence Claims Solicitor Manchester | X Y. There are various other opportunities for optimising your profile, such as in your main bio, within your employment history section and within the Skills section. Note that this post was first written several years ago and LinkedIn’s features have moved on somewhat since then. For a more up to date guide to optimising your LinkedIn profile, please see a guide to which I contributed over on the Moore Legal Technology website here. While many would suggest it being more important to scope out friends and connect with current connections as soon as possible, I would strongly encourage you to join relevant groups as early as possible for two main reasons:- first, you can connect with others by stating that you are also a member of the same Group(s) as them; and second, there are relevant discussions to which you can contribute or from which you can learn new information or get recommendations. These can be found by performing a search through the “Groups” section for relevant terms e.g. “Law” or “Legal” or more specific terms, or by looking at groups that similar people have joined. Thereafter it is a good idea to set notifications to weekly, rather than daily, alerts; this can help prevent your email becoming clogged with Linkedin Group notifications. Third, having joined relevant Groups, you can introduce yourself to the Groups or join in relevant discussions. Generally, with the more professional, sector-specific groups, the discussion tends to be more expert in nature. It is, therefore, best to discuss topics about which you are knowledgeable and for which you can add valuable contributions. As I have blogged about previously in my post Top 5 Reasons for Young Lawyers and Barristers to Get Blogging, by engaging with other lawyers and other professionals and demonstrating expertise in a certain area, you are opening yourself and your firm up to potentially valuable relationships. Fourth, there are various ways of finding relevant contacts. The main way to do this is by searching your email contacts within the “Add Connections” feature of Linkedin, which is facilitated if you use Outlook, Apple Mail or other email applications. Other ways include manually searching for people who know, or having a look through the memberships of relevant groups. Once you’ve been active on Linkedin for some time, Linkedin will be able to suggest relevant contacts with whom you can connect. 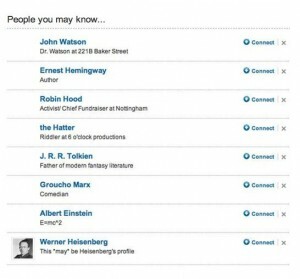 Notably, at the same time, Linkedin will be suggesting to others relevant contacts with whom they can connect, which may well include yourself. Fifth, having sourced various relevant contacts, you can invite them to connect with you. Linkedin presents you with various options from which you can choose:- i.e. are you a colleague with someone in the same firm or from a previous firm? Have you done business with the person before at your current firm or a previous firm? You can also connect because you are “friends” with the person if you know their email address they used to create their Linkedin profile, which can sometimes be difficult to know, particularly if it is their personal email address, which it usually will be. Or, perhaps one of the easiest ways to connect with others, you can connect stating that you are a member of the same Linkedin group(s). Sixth, it can be a good idea to recommend others if they deserve a recommendation. 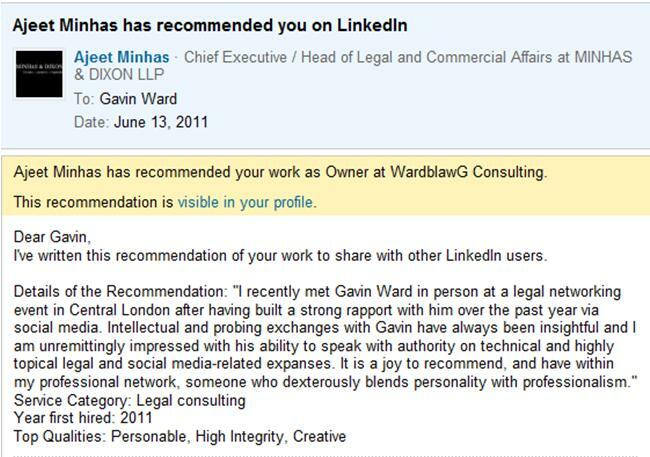 Generally, if you give someone a useful recommendation, there is a good chance of them reciprocating and, indeed, Linkedin facilitates the reciprocation process. 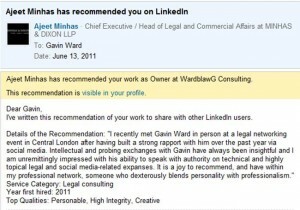 Recommendations can work well if they are from a colleague to another colleague at the same firm or a former firm, between a lawyer and client, between people who have done business together, or between two people who have connected together through social media and have engaged in discussion in Linkedin Groups. Linkedin provides a great deal of flexibility, so there are no set rules, although it is not a good idea to recommend just anyone at random. Connecting your firm’s website or personal website or blog is always a good idea, not just for the sake of further integration and for completing your Linkedin profile, but also for directing further relevant website traffic, which could lead to potential enquiries. If you have a Twitter account, not only can you list it on your profile, you can integrate it so that your Twitter updates feed through to your page and can show up on the home feed of your connections. Although others may disagree, I think it is best to select the option for only your tweets which include the hashtag #in to be fed through to Linkedin. Otherwise, your updates may irritate your other Linkedin connections who may wish to keep their home feeds streamlined. If you have already had a Linkedin profile for some time, you may have seen your Linkedin profile ranking highly on Google. This is a product of Linkedin’s strong presence on search engines. To take even more advantage of this, you can select a unique URL or “vanity URL”, as it is sometimes known. This option is available widely on Facebook now and it has great important already on Twitter. To change the URL, as the image demonstrates, you can select “edit” next to the “Public Profile” item. 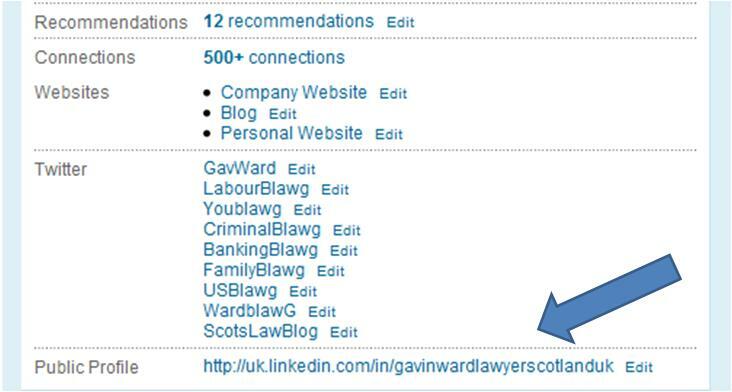 If your full name as a Linkedin URL is already taken by someone else, you can add other relevant words, such as your location or specific job title. Having established a strong profile, with initial connections, it can be useful to tell your connections about your Linkedin account on other social networks, such as Twitter, blog or even Facebook. This can help you connect with people you may otherwise have otherwise missed. Finally, and thanks to Adrian Dayton for emphasising the importance of this tip, it is a good idea to monitor who is viewing your profile. You can do this on Linkedin by going to “home” then viewing the widget on the right-hand side of the page, which asks “Who’s viewed my profile?” By monitoring this, you can take a look at those people or, at least, the types of people who have viewed your profile. While you may not want to get in touch with them immediately, it can be useful to keep a mental note of the potential relationships which may grow with those people in the future, which may lead to future valuable business. Linkedin is the foremost social media network for professionals, with many benefits including the potential to grow a professional network and to scope out potential competition, business partners or clients. 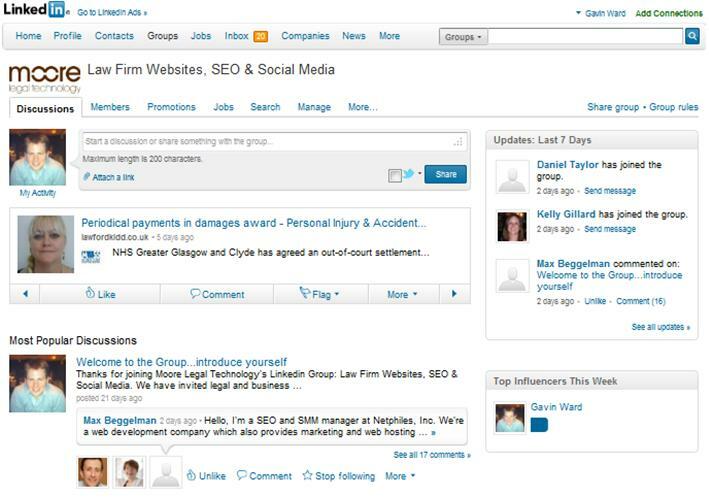 Partners in most medium to large law firms are ranked by organisations such as the Legal500 or Chambers, which have powerful directories online. They will or, at least, should have a page on their firm’s website dedicated to them, with their own email address and direct dial. They will or, at least, should write articles in legal journals, magazines or newspapers in their own name with their contact details displayed. Effectively, they have, through a long period of time, thus established a strong brand and online and offline presence. Compare that to young lawyers, barristers and, in particular, trainee solicitors. They will, most likely, have no voice on the Legal500 or Chambers website; they will, in most instances, have no page on their firm’s website dedicated to them; they will, usually, have no articles written in their own name in journals or newspapers even if they have contributed to such articles which are published in a partner’s name. If the young legal professional takes no active measures to establish a brand online using Linkedin, or indeed through other social media engagement, their potential online presence will be unharnessed and potentially valuable connections may not be made. First, your network should be about quality, not quantity. Choose with care who you want to link with. It’s not just for the obvious reason that you don’t want your box clogged constantly with detritus, it’s that to a degree, people will judge you by who you know, just as they do in the offline world. Second, it’s a lot better to write a personalised invitation to link than ping the standard template. This is about strong personal relationships, and treating someone like a number is not a good start. Fourth, don’t overtly market and sell. People will think you are someone who rhymes with “banker”, and they will be right. Everyone on the site is there because they want to enhance their business or career, so that’s understood. The best way to attract the right sort of attention is to be thoughtful, insightful, generous and helpful. LinkedIn is built on the truth that a desire to reciprocate is hard-wired in the human psyche. The more you give, the greater will be your reward. For example, think about who in your network would benefit from being linked with one another and introduce them. Whether or not they end up doing business, they will appreciate your effort on their behalf. And they will remember. 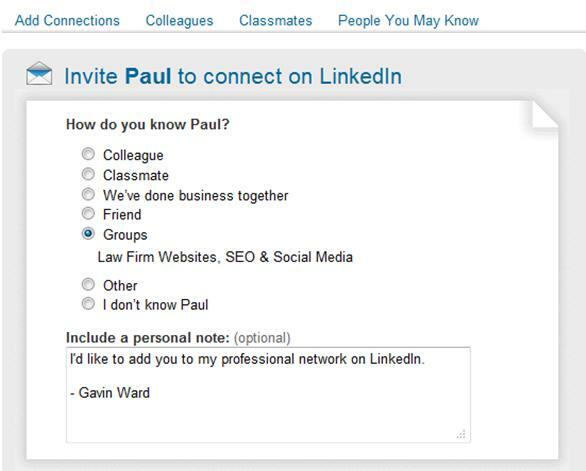 I would also be keen to stress (as we do in our linkedin career seminars) that Linkedin is not a social networking site like Facebook where you keep in touch with friends, but its a business networking tool. What I mean by that is that you should connect with people you want to get to know or do business with, not just the people you know. If approached correctly i.e. making note that you share connections or business interested and proposing that you link in together can be a highly successful tactic for generating new business. Quality comes before Quantity of course, but the larger your network the greater the opportunity. Liked article. Well presented. Helpful to such as myself reluctant use social media. Thanks for the kind words Raymond. Glad this is useful for you. Hope you have a good weekend. Thanks also to all others who have retweeted and shared this with colleagues on Twitter, Linkedin etc. Much appreciated! Thanks for this post. 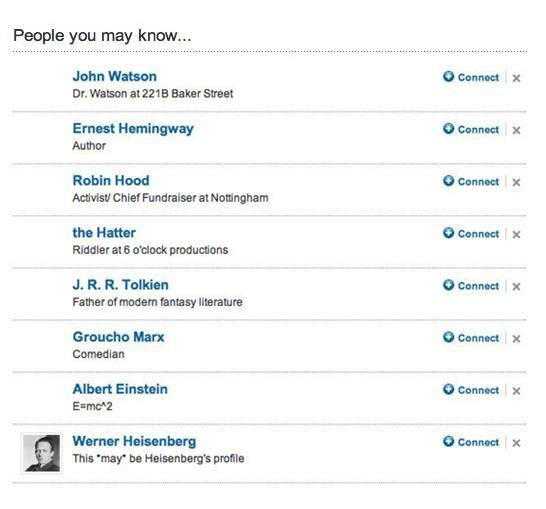 Now I’m finally convinced to create my own linkedin Profile. Again thank you.